Adams launches reality video series with the ‘CAMP Industry Nite’ Edition. 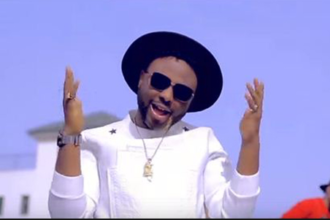 Adams launches reality video series with the ‘CAMP Industry Nite’ Edition, Soundcity VJ would be giving fans a glimpse into his life, activities as award winning entertainment TV personality. On his debut episode, he hangs out with CAMP team led by Cobhams Asuquo with talents like Pheel and Bez, from their rehearsals. radio interview to their big night as they were hosted at the weekly industry event – Industry Night. Adams Ibrahim Adebola is a VJ and Brand Ambassador, Soundcity Music Channel, The renowned TV Personality was born in the mid 80’s to a family of five. He broke into the scene as a contestant in the 2008 edition of Next Movie Star as a housemate alongside Karen Igho. The following year the producers of the reality TV show floated a TV platform where he worked as lead presenter till 2010 before joining Consolidated Media Associates – producers of Soundcity, Spice TV, OnTV, Televista, Villagesquare TV where he has gone on to become one of Africa’s finest and award winning TV Personality.